When Do I Need an Aircraft Accident Attorney? Aircraft accidents in Alaska often result in severe injuries or death. As the victim of an aviation accident, you may be facing extensive medical treatment, expensive medical bills, and a long recovery process. You may find yourself unable to cover the costs associated with your medical bills because you’re unable to work due to your injuries. What should you do? Aviation law consists of a complicated group of laws, treaties, and court decisions. Consequently, you need an airline accident lawyer in Alaska who has the experienced and knowledge to lead the investigation into the cause of the crash and to help you collect the maximum amount allowed under the law. Regardless of the accident details, if you were injured in an aircraft / airplane accident due to someone else’s negligence or carelessness, you may be entitled to compensation for your injuries and other damages. 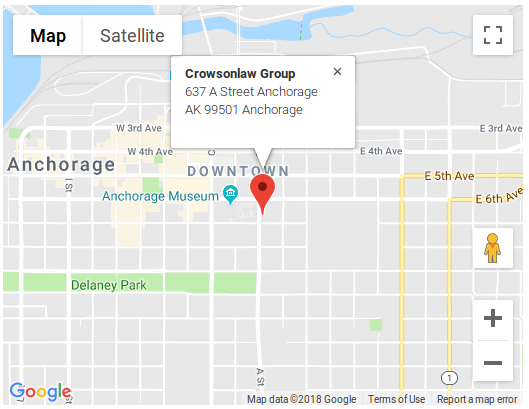 If you’ve been injured in an airplane accident that wasn’t your fault, Crowson Law Group is here for you. With our personal injury lawyers on your side, you’ll be able to focus on recovering from your injuries while we work on obtaining compensation for your medical bills and lost wages. 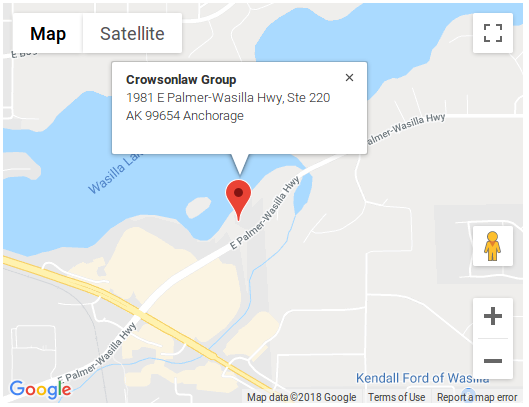 Based in Wasilla and Anchorage, we proudly serve all of Alaska. We invite you to call or contact us online to schedule a free, confidential consultation to get your questions answered. In Alaska, many personnel are transported by aircraft to and from their work locations on the North Slope, Kenai Peninsula, and Dutch Harbor. Many accidents are reported each year due to pilot error or negligent maintenance practices. Like remote workers, many Alaskan residents and tourists rely heavily on air taxis and commuter planes to reach remote locations. These commuter planes, including on-demand flightseeing and other charter aircraft, typically have lower safety records than jetliners and result in dozens of deaths or serious aviation injuries per year.